Atlantic Villa offers divers a special welcome. Our comfortable bed and breakfast has a sauna to enjoy after a day out diving. Access to local knowledge, storage facilities, free use of sauna, a dry place to hang wet clothing, an outdoor washing line, water tap, drying facilities and a packed lunch ( extra charge). Because the Gulf Stream washes our coast, the water temperature is much warmer than the UK and northern Europe and varies from 12ºC in the early season to 21ºC in late August/September. The visibility on very good days is 30+m, averages 20m and bad days is about 7m. 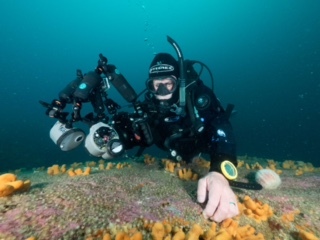 Valentia Island’s surrounding waters are world renowned as dive site, and have featured in the National Geographic magazine, not that we like to boast about such things! Below please find a sampling of what to expect in the waters that flow around the island along with contact details for group dives. Basalt Point on Beginish Island is an excellent dive site with lovely boulders at about 35m with plenty of gullies and swim through. 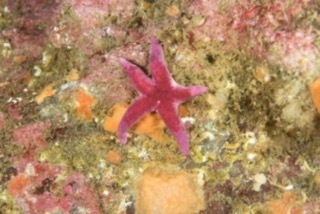 Although shallow (approx 3m) there is a very worthwhile night dive around the pier in Knightstown, specifically the pier beside the public toilets. It would not be advisable to dive here during the day due to boat traffic. You can enter via the steps or walk down the slip into the water. The stones of the pier are widely spaced and the gaps allow plenty of scope for fish and other animals to make their homes. Being a fishing harbour people tend to throw unwanted fish off the pier, leading to a proliferation of life. 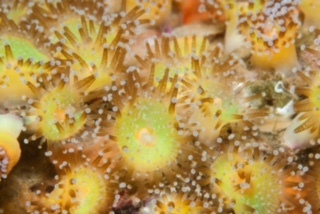 This combination makes this dive one of the best night dives in the country. 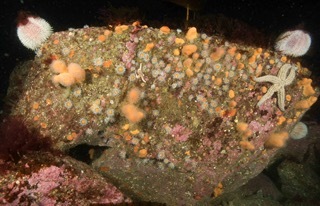 There are congers, many active lobsters, flatfish and blennies in the gaps between the stones, and small pipefish that may be attracted to the beam of your light. 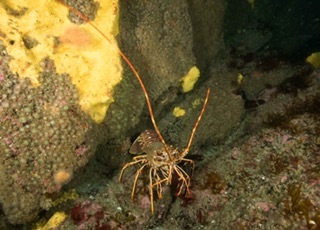 The most striking feature of the dive though are the throngs of squat lobsters – literally dozens of them everywhere you look. Bray Head 51°52.800N 10°25.795W – Ledges at the western end of Valentia Island running from 10m to 40m with a kaleidoscope of colours, masses of fish and diving sea-birds, this site is best dived during slack water. 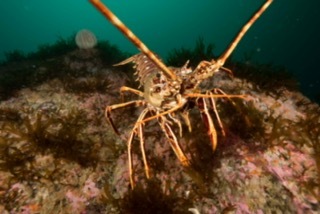 Just south of Bray Head there is plentiful diving along the cliffs. 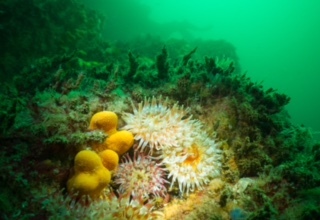 Possible dive sites include Long Island, Doon Point, Gull Point, Lamb Island, Dromgour Point and Lemontounagher Rock. Depths range from a nice shallow 20m to 50m deep. Doulus Head 51°52.800N 10°25.795W – An area north of Valentia Island on the mainland. A shallow dive (around 20m) with plenty of colourful flora and fauna and caves to explore. Oilean an Iasc (Fish Island) 51°52.800N 10°25.795W – To the north of Valentia harbour and just north of Doulus Head, this inlet is home to a wide variety of fish life and crustaceans including mussels, crabs and lobsters. 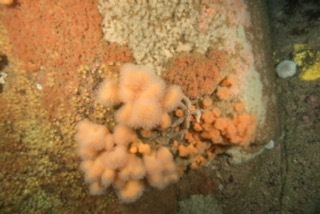 The best diving is between 10m and 30m, with lots of nooks and crannies – a torch is a must on this dive. Great Skellig Island 51°46.400N 10°32.200W – These are about 40min off shore (from Portmagee) by RIB which is approx. 8 miles. 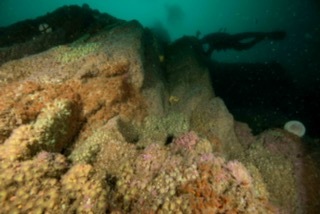 The most spectacular diving on these giant rocks is between 15m and 35m, but divers can choose their depth. 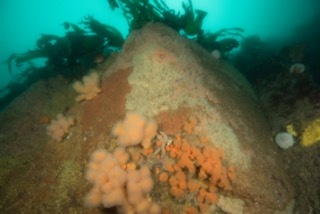 There are sheer drop-offs, ledges crammed with marine life and an abundance of fish. Visibility is often 30m plus….a photographer’s paradise. The rocks are a home to a colony of inquisitive seals, which often play with divers. Little Skellig Island 51°46.900N 10°30.400W – There are also the remains of an ancient wreck on little Skelligs and a large seal colony. 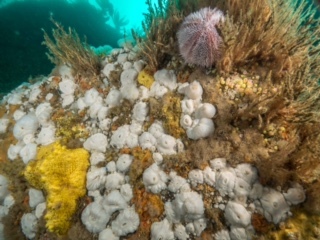 The shelter of the South West tip is probably the best diving location. Divers need your own gear, air can be provided if you don’t have your cylinders with them and also refills once your cylinder is in test, and most of all be qualified and have your diver card available for inspection. Scuba Diving Trips can be organised for groups of qualified divers, groups of 8 – 12 divers. Trips can range from 2 days to a week. Air, Weights and Tanks can be hired. 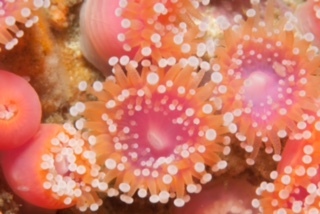 We dive the clear waters around Valentia Island, or a Trip to Puffin Island or the Nearby Skelligs Islands can be arranged.